Pres. Benigno S. Aquino III signed into law the national budget for 2014 on December 20, 2013. As usual, the Dept. of Education received the highest percentage while the calamity fund also got a dramatic increase as a result of the latest calamities that hit the Philippines. 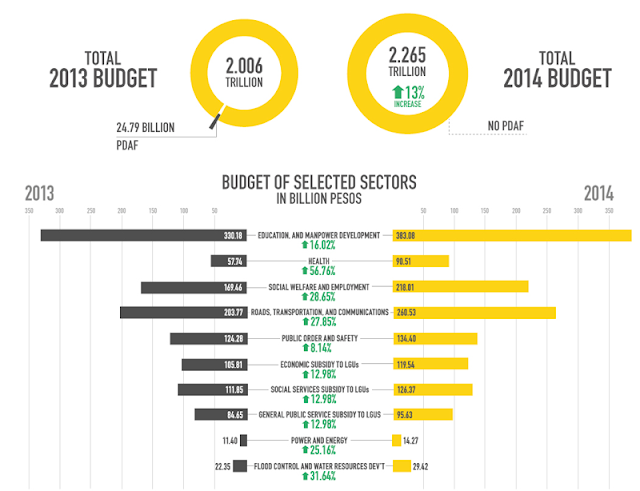 Above is an infographic showing the comparison of the 2014 National Budget to the previous year. 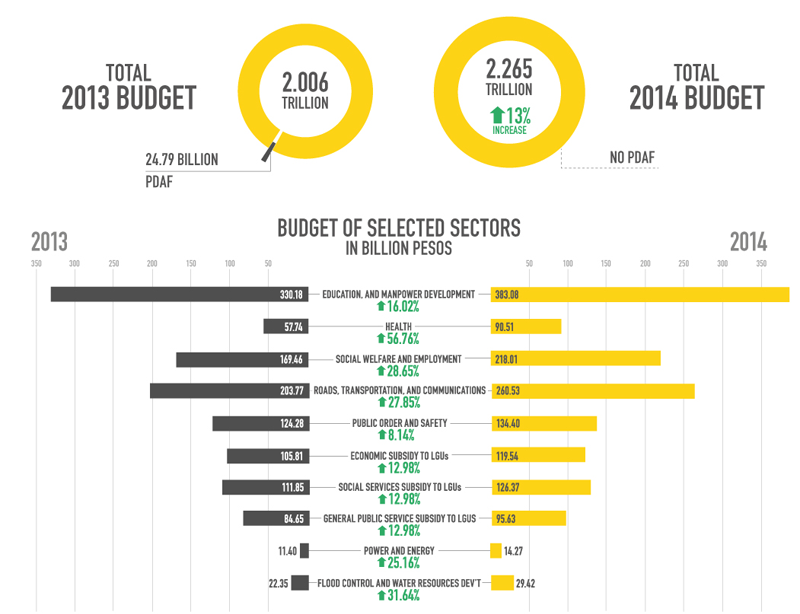 Notice that there is no more PDAF in the 2014 National Budget. 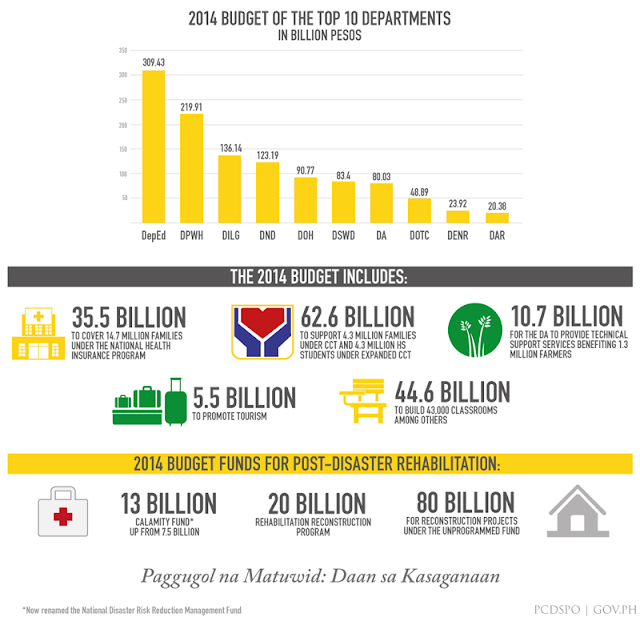 This second infographic shows the break down of the 2014 National Budget to the top 10 Departments and the rehabilitation of the areas hit by the recent calamities.